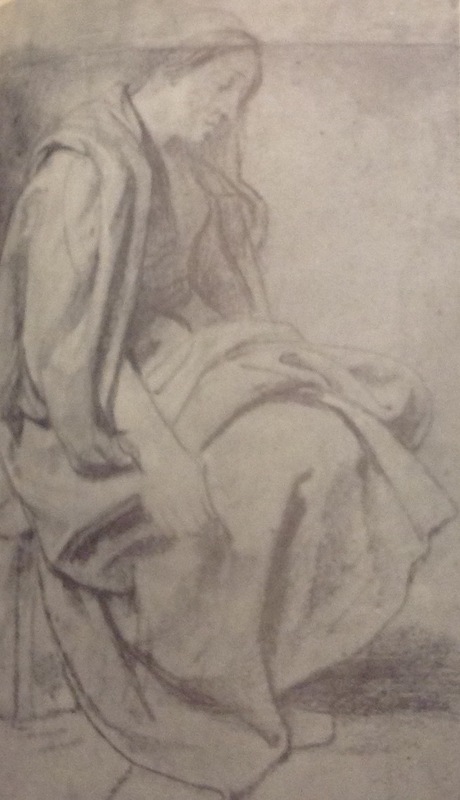 I started with tone in pencil and then looked at line using pen with two very different outcomes. 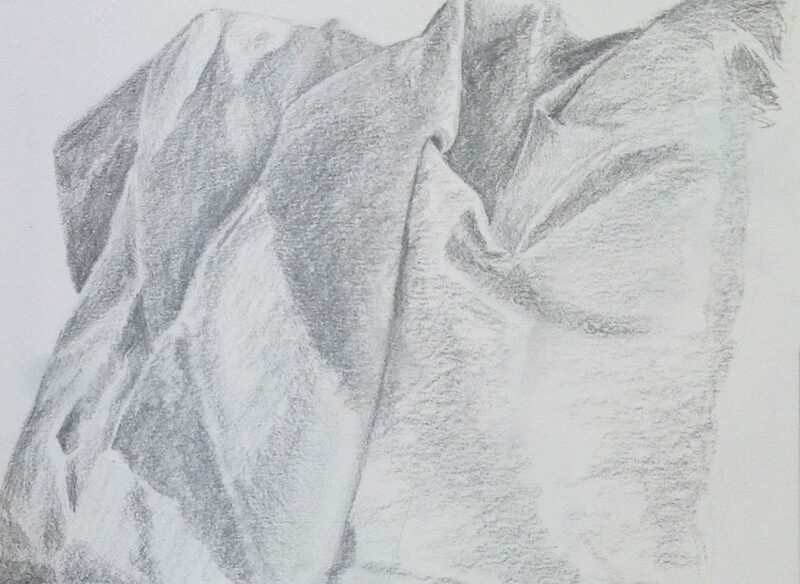 The line drawing probably describes the silkiness of the fabric but the tonal sketch better describes the folds and creases. I found this really difficult to stick to the 5 minutes. 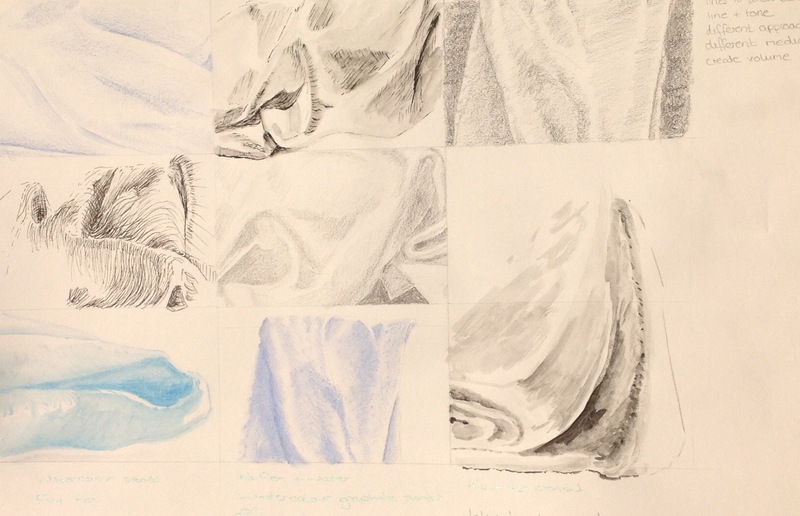 I used a thick cotton napkin for this exercise and found it a real challenge to describe all the tonal variations in the folds. 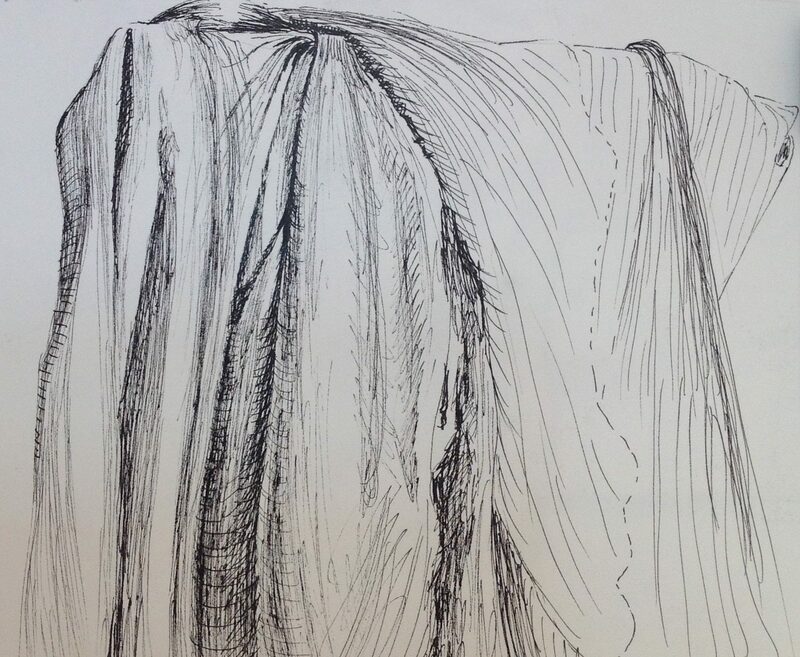 I think the pencil drawings are the most successful for this but again I like the pen drawing for describing the curves and contours of the fabric. I have been looking at Ruben’s quick sketches in chalk and how with so few lines he is able to describe clothing so well. 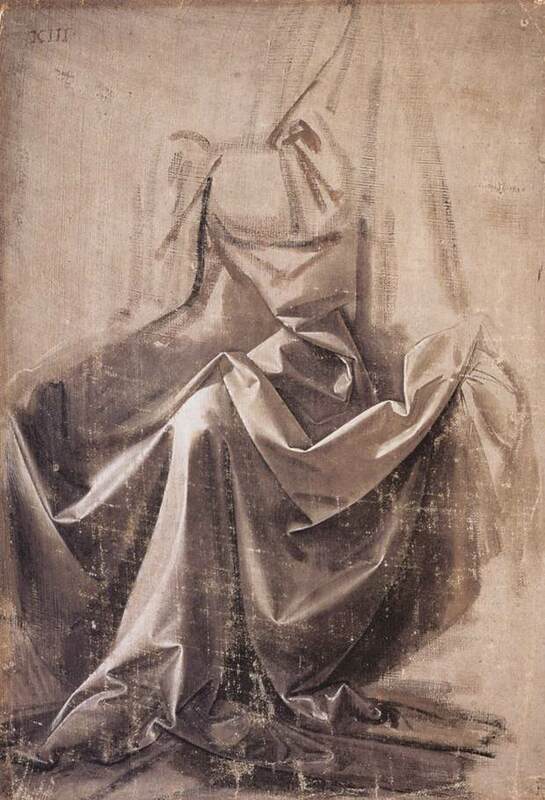 Also, Leonardo’s study of drapery( 1473) show me I need a lot more practice. Really beautiful drawings! Your marks are so sensitive and really effective, and I do admire them! You’re very clever with pencil and ink, and the examples really show how medium totally changes an outcome. Thank you Sue,and for making the time to comment.